Notchtop Mountain reflects the new days morning colors as viewed from the banks of Fern Creek near Odessa Lake. High cirrus clouds over Notchtop Mountain take on a subtle magenta glow that bathes the entire landscape around Odessa Lake and Fern Creek in a warm and soothing light. 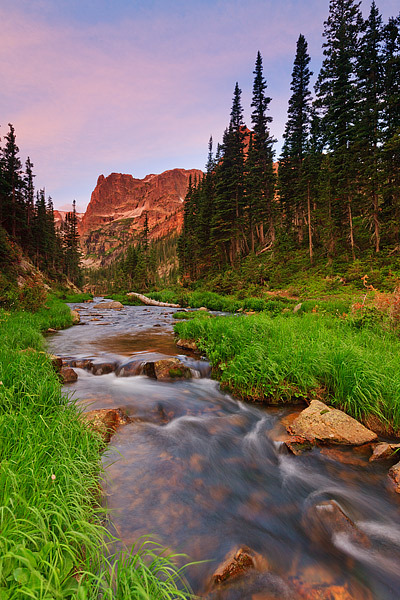 Odessa Lake is a popular destination for hikers in Rocky Mountain National Park. Photo © copyright by Thomas Mangan.